One of the most common presents for a steady girlfriend is a new pet, but that’s a really awful idea. While it might be cute to see her cuddling a new puppy or kitten, a pet is a better present when you are married than when you’re just dating. Why, you ask? Your girlfriend is nurturing enough, sure, and she’ll love it, but things can go awry with the pet if things go awry in your relationship. 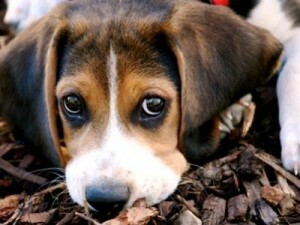 A puppy that was once well loved might end up at the pound, or just generally neglected. If you still need more convincing, keep reading. For this article, we’re going to go with the assumption that the two of you have broken up. While she can easily toss out all the stuffed animals and jewelry you bought her, it isn’t so easy to get rid of a pet. All the items she gets rid of after a breakup will keep her from thinking about you, which either makes her upset or angry. Think about it – every time she looks at that dog or cat, she’ll just think about you and the time the two of you spent together. Best-case scenario, she’ll just get sad when she spends time with her pet. The worst-case scenario is that she won’t even be able to look at it and the pet will feel neglected and be just as depressed as she is. Even worse than her not paying attention to her pet when the two of you are done, she could become abusive. If she has a gentler nature, just keep in mind that physical abuse isn’t the only kind. For a girl struggling with a bad breakup and her own emotions, it might become hard to even remember or want to feed her pet. If she doesn’t let it waste away, she could want to just get rid of it altogether. This might mean dropping it off by the side of the road or giving it to a friend or even leaving it at the pound. Sending a dog or cat to a shelter is almost an immediate death sentence, as they only have a few days to get adopted before they’re put to sleep. Hopefully by now you’re scared away from getting her a pet before you’re married, but you’re wondering what to get her instead. Chocolates and roses are cliché but nice, and if you spend enough money on them it’ll still be a good gift to give a steady girlfriend. Another thing girls love receiving is an all-expenses-paid shopping trip or vacation – take her out for the day at her favorite shopping center, or plan a romantic getaway for the weekend. She’ll know you love her without you giving her a fuzzy obligation to care for. Jewelry is also a good standby; the more money you spend, the more she means to you. There are a million things to give her to show how devoted you are to her without putting animals at risk.